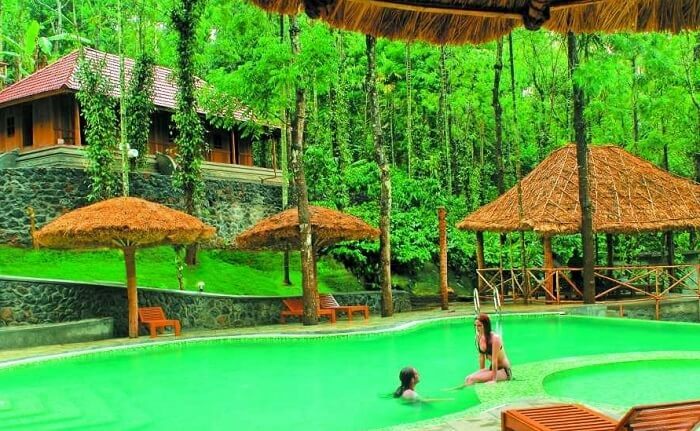 Resorts in Thekkady are known to be pieces of paradisiacal beauty. Set amidst harmonious sceneries and marvellous landscapes, Thekkady resorts will charm you with their vibe and surrounding serenity. 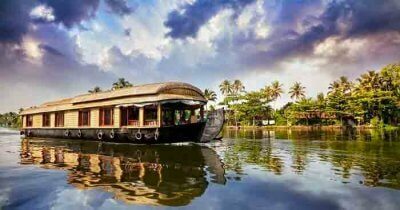 The tranquil tourist destination is famous for jaw-dropping Periyar Wildlife Sanctuary, spectacular Periyar Lake, and other places to visit in Thekkady. The destination, generally chosen for a short stay (say, 1-2 night/s) offers some of the most amazing and elegant stay options for guests who wish to have a serene yet thrilling holiday. 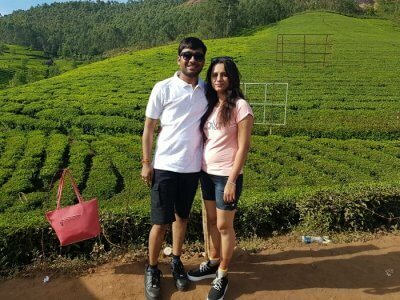 Browse through the piece and pick your choice from the list of 10 excellent hotels and resorts in Thekkady. 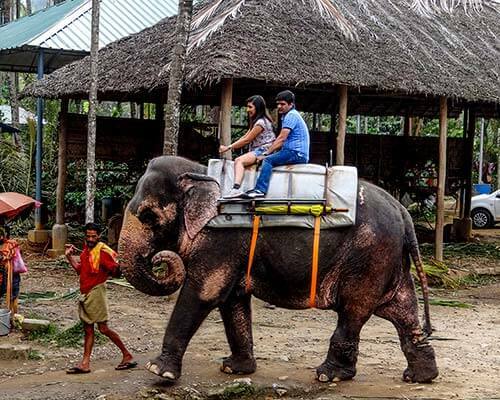 Kofiland offers a comfy and cutting-edge holiday experience within cardamom and pepper plantations of Thekkady. 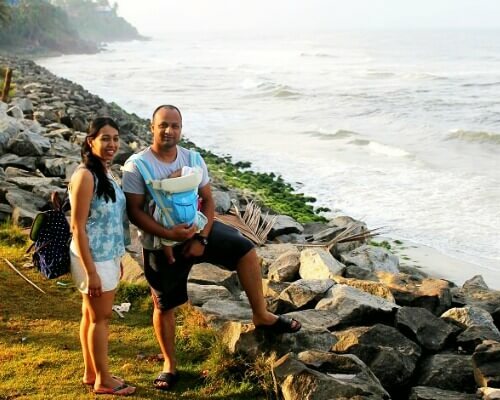 As a state-of-the-art, eco-friendly resort and one of the favourite boutique resorts in Thekkady, it is naturally themed with rocks, stones and mud along with ultra-premium stay amenities and hospitality. The interiors at Kofiland are styled like earth with pastel hued walls which enhance the glamour of the resort. 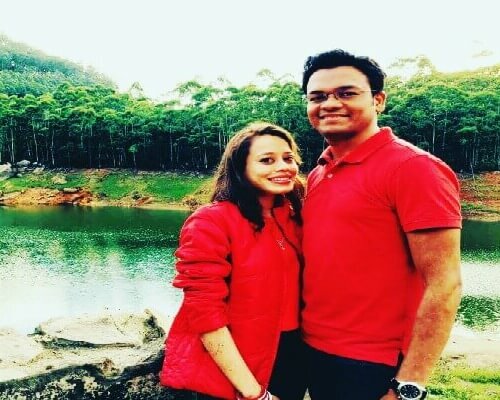 The circular lake, locked in between the hills, offers jaw-dropping views from the cottages and makes the stay all the more majestic and splendid. What’s special: Lake-side dining, invigorating spa, and plantation treks are worth an experience. You can also try your hands at fishing as Kofiland organises fishing adventures in the river. You can be lucky enough to catch fishes like Catla, Tilapia, Mushi, Carp and freshwater prawns. The chef will be elated to cook your day’s catch. Or you can simply ask them to arrange for a riverside barbeque and have a picnic lunch with your catch. Suggested suite: For the best view of the lake, stay at Planter’s Villa. 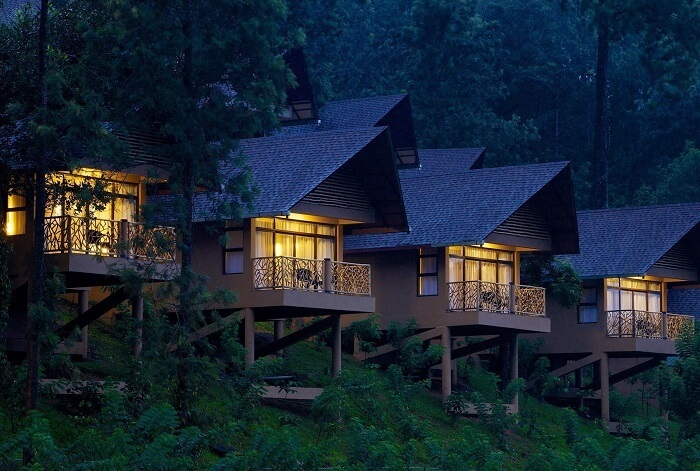 Greenwood is one of the opulent boutique resorts in Thekkady set amid dense forests and rich biodiversity. 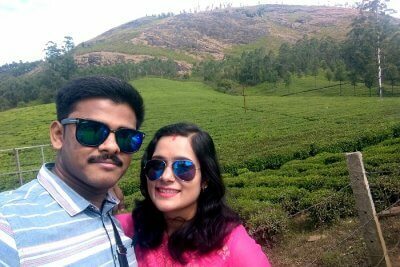 It is located in Kumily region and is one of the most amazing resorts in Thekkady that boasts of fabulous private suites, majestic hospitality, and world class dining experience. Don’t miss the stunning strokes of green and the melodious chirping of bird. 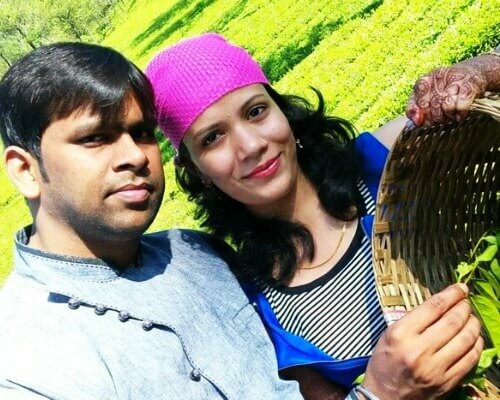 What’s special: Ambara – The tree-top coffee shop, Kerala’s ethnic cuisine demonstration class by sous chefs, and spice garden and plantation tours. Suggested suite: If you are at Greenwoods, stay overnight at Vanya – Forest Tree House, located about 4 km away from the resort. 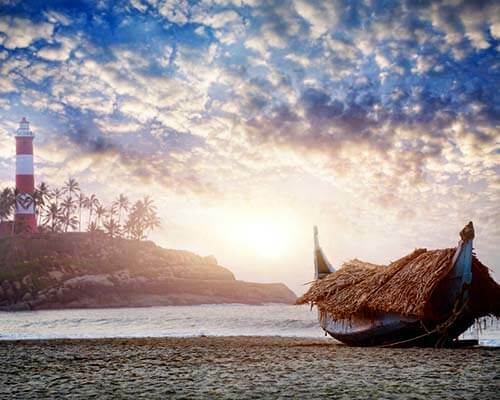 This serene and thrilling stay option should not be missed, if given a chance. Also, For an ultimate world class stay experience, check out Indraprastham – The Presidential Pool Suite with a private Jacuzzi pool. Blending luxury and heritage, nature and regalia, best décor and world class amenities – The Elephant Court offers a perfect nirvana in the lap of nature. 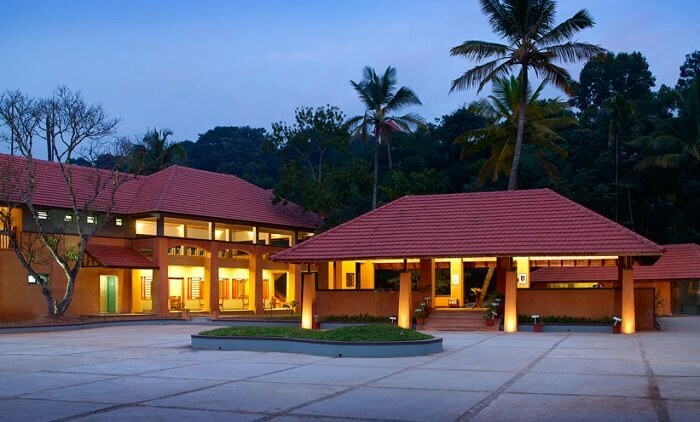 It is well known as one of the premium luxury resorts in Thekkady and is acclaimed for its style and service. The superbly fashionable yet antique furniture, magnificent chandeliers, and grand interiors make the interiors charming. But what really adds to the popularity of The Elephant Court are courteous staff and cordial hospitality. What’s special: Poolside bar and Ayurvedic spa therapies. Ensure you don’t come back without experiencing at least one of – Swedana or Steam Bath, Virechana – the detoxification spa, Udvartana – the dry powder massage, and Padabhyanga or the foot massage. Suggested suite: Have a chill-out stay in the Pool Studio. Relax and plunge into your private pool, that too in your own living room! Designed artistically to showcase the setup of a tribal hamlet, Spice Village is a superb example of perfect amalgamation of tradition with most contemporary facilities. 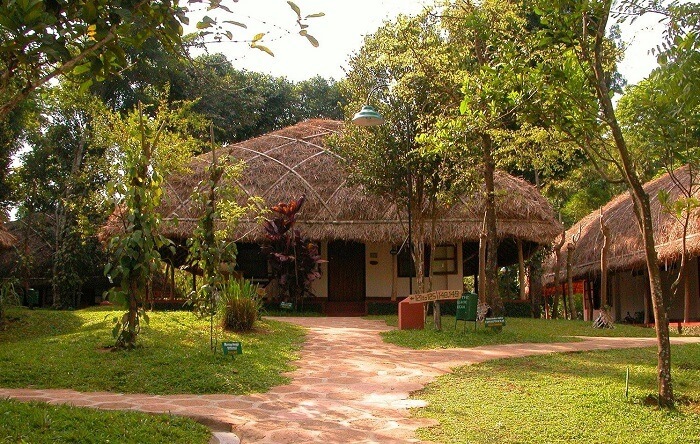 Spice village is one of the non-ornamental resorts in Thekkady. Here, the flashy carpets are replaced by non-fancy coir mattresses, posh and heavy furniture by simple wooden counterparts, and silk curtain by jute-finished blinds. All the rooms of this eco-friendly resort are naturally ventilated and lit, hence there are no air-conditioners anywhere in the resort. 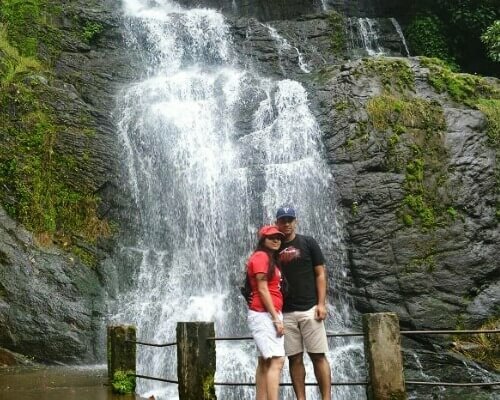 Ample fresh air, lush green surrounding, various forest chirpings, and birds songs are complete treat to eyes, mind, and soul. What’s special: A warm welcome at the resort; every guest is welcomed at the resort with a piping hot herbal tea and guess what, you can choose the herbs yourself. Trip to the nearby pepper plantations, as per the season, are also a hit. Experience pepper plucking and bullock cart ride along the narrow tracks of the hilly countryside. Evening cookery classes where the chefs teach some of the authentic Kerala dishes (both, veg and non-veg) are the other major attractions of the resort. Suggested suite: Deluxe Villa, as it’s the most furnished and impressive suite in this resort. Snuggled in acres of sprawling cardamom plantations, Niraamaya Retreats Cardamom Club is one of the most fascinating resorts in Thekkady. Overlooking the jaw-dropping splendor of Periyar Wildlife and Biosphere Reserve, this resort offers a stay amid chirping birds and colorful trees and flowers. 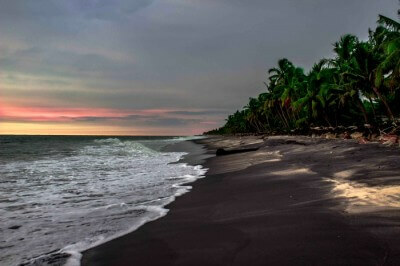 A true paradise for nature lovers, it is! 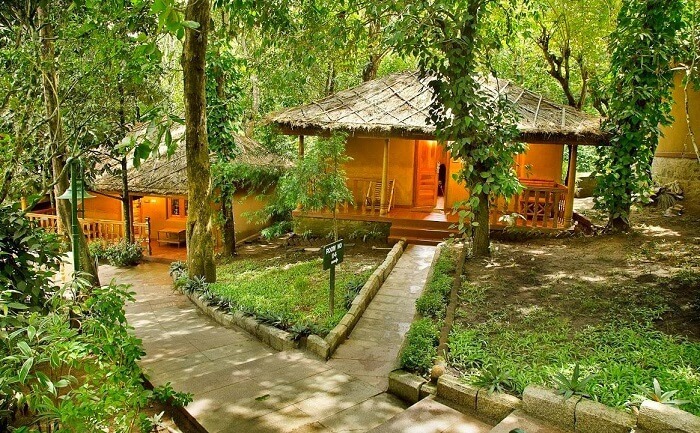 What’s special: Niraamaya is one of the best Ayurveda oriented resorts in Thekkady and is reputed for its wellness centre and wide range of spa therapies. The most recommended therapies of the Ayurvedic Resort are Katee Vasthi, Shirodhara, and Padamardana. Suggested suite: Deluxe Cottage for blissful stay experience involving traditional charm, contemporary luxury and most warm hospitality. The aesthetically designed and contemporary styled resort, Cardamom County is the first ISO certified 4 star resort of Kerala. 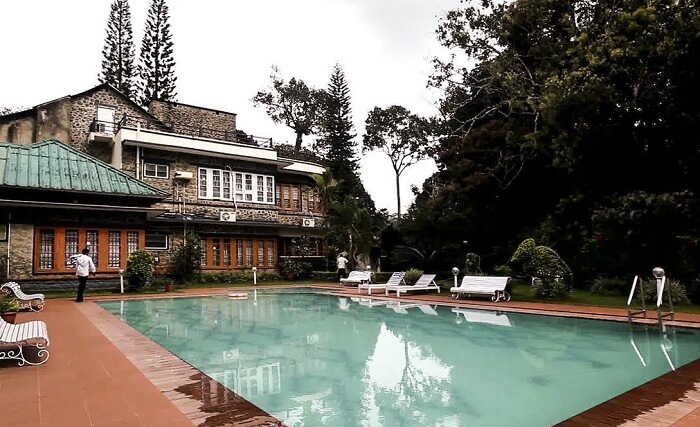 Located on the hill, facing Periyar Tiger Reserve, this resort is a perfect blend of royal living, deluxe stay experience, and charming backdrop. 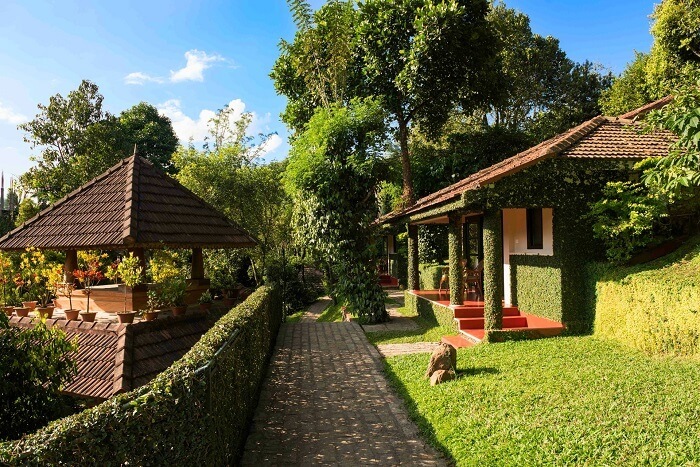 Coupled with organic farming, butterfly garden, and over-whelming natural setting, Cardamom County is among the best retreat resorts in Thekkady. What’s special: Cinnabar – the open air bar overlooking the pool; and All Spice – the fusion food poolside restaurant. Suggested suite: Enjoy the enthralling forest view from the private verandas of County Cottage. As a winner of ‘Certificate of Excellence’ by Trip Advisor and designated by Indian Hotel Awards as a ‘Highly Recommended’ resort, Wild Corridor offers a reviving stay with utmost convenience and comfort. 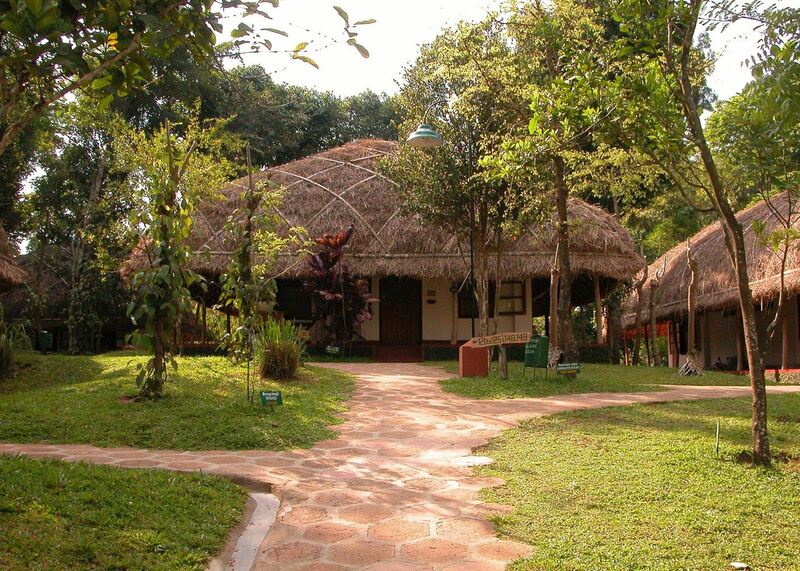 It is one of the eco- friendly resorts in Thekkady and is celebrated for its serenity and ambience. 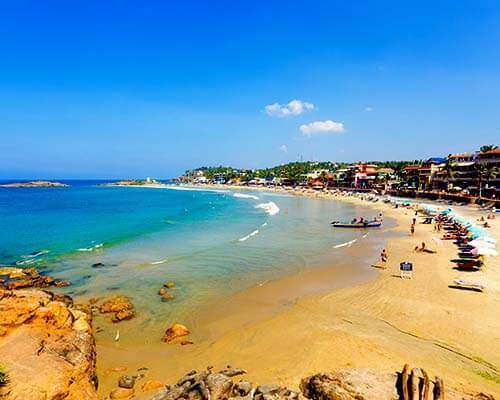 Impressive décor, nicely designed elevated villas, hilly pathways within the resort, best sunrise view and most amazing hospitality are the highlights here. What’s special: Most magnificent dining experience at Lemon Grass – the multi-cuisine restaurant and The Grill – the poolside barbeque. Also, the raised up location of the resort offers the best panoramic sight of the adjacent forests, plantation, and lake is certainly a plus. Suggested suite: For the splendid bird’s eye-view experience of the forest, the Romantic Sky Cottages are highly recommendable. An idyllic destination for adventure freaks, travel enthusiasts, and eco-tourists, Aranya Nivas is a perfect traveler’s’ choice. 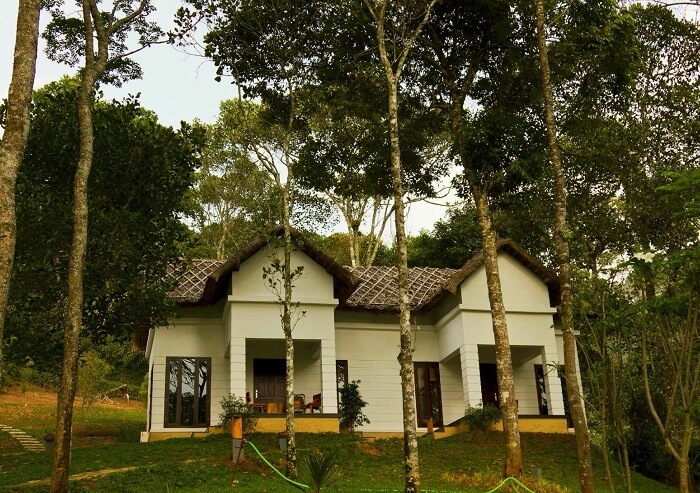 Located within Periyar Wildlife Sanctuary, this KTDC property is one of the best resorts in Thekkady. The sprawling property encircled with luxuriant woods, tea plantations, rich biodiversity, and tranquil environment is just 2 minutes’ walk from Periyar Lake. If you are looking for a superb and serene holiday in a pristine environment, ABAD Green Forest resort is the right choice for you. 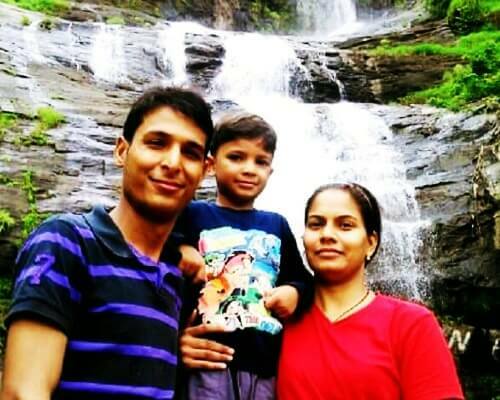 Nestled amid nature in Kumily, this relaxing jungle resort offers all imperative amenities needed for an impeccable holiday. Plan your adventurous spree to gauge your thrill instinct in a natural set up, surrounding the resort. 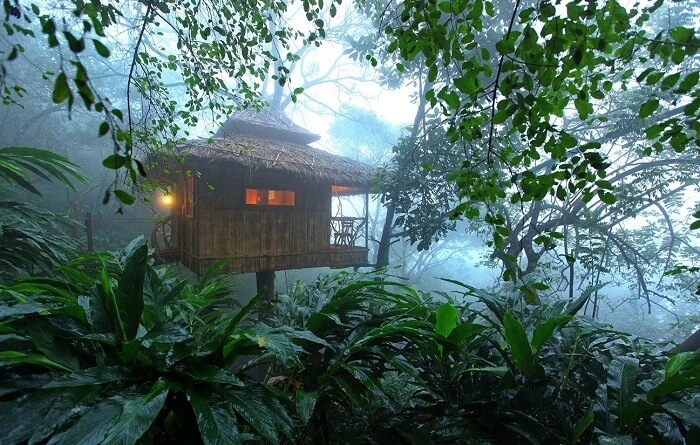 Suggested suite: For a perfect feel of this jungle resort we recommend Jungle Cottage. 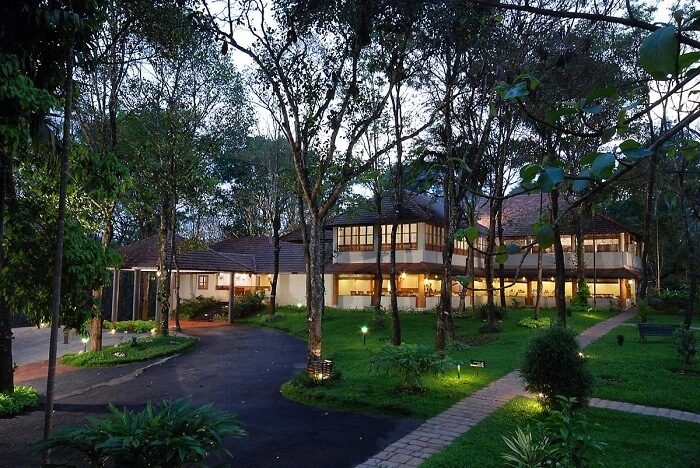 Encircled by lush green forests, this is one of the best hotels in Thekkady. Its rustic aura and simple charm will surely sweep you off your feet. The austere settings of this splendid Sterling property will leave you fascinated. 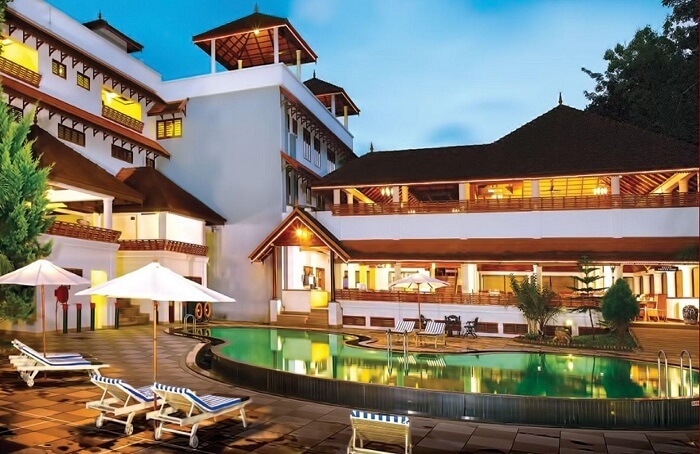 The overall ambience of Woods N Spice along with its homey decor and warm Keralite hospitality will help you soothe your mind, body, and soul in nature’s gorgeous mishmash of quietude and luxury. What’s special: Laze in the swimming pool in the wildlife setting and relax at Subuthi – The Spa centre. Suggested suite: Book one of the Privilege Suites for a memorable and enjoyable stay. 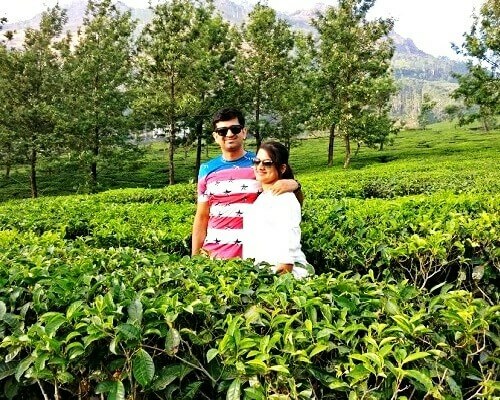 Have you stayed in any of these awesome resorts in Thekkady? 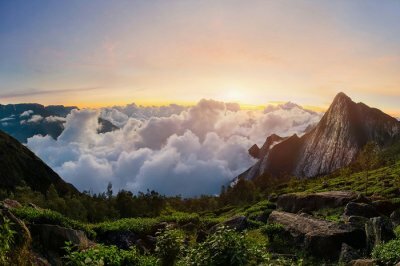 If yes, share your experience with us; if not – it’s time to take some time off and head off to one of these rejuvenating havens.